Born at Roxana, he was a son of the late James J. and Cannie Ison Whitaker and the widower of Mary Eileen Reitman Whitaker. He was also preceded in death by siblings Chelsea Hogg, Evalee “Auntie” Morris, Kate King, Pauline “Pod” Frazier, Gladys Hogg, Herbert Hoover, Venon, Vernon, Ira, Steve, Arlie, and Jim Whitaker; his brothersin law and sisters-in-law, Sadie Whitaker, Ellis Adams, Delbert O. King, Nacy Morris, Opal Whitaker, Ethelene Whitaker, Hobson Hogg, Andy Frazier, Gladys Whitaker, Robert Reitman, Dolores Reitman and Isaac Hogg. He was a member of St. Mary’s Catholic Church in North Vernon, Ind. Mr. Whitaker was inducted into the U.S. Army on May 5, 1945 and served in the 243rd Port Company. He was honorably discharged from the U.S. Army on December 4, 1946 at Camp Beale, California, and received the Asiatic Pacific Campaign Medal, the Army Occupation Medal, and the World War II Victory Medal. Mr. Whitaker was then graduated from Kingdom Come High School and earned his bachelor’s degree in education from Morehead State University. He then earned his master’s degree from Indiana University in 1963. He began teaching at Craft’s Colly School in Whitesburg before moving to Indiana, where he taught at several different schools. Surviving are a sister, Renavae “Peg” Adams of Madison, Ind. ; a brother, Tom Whitaker and wife Marion of Dalton, Ga.; his sistersin law, Sally Whitaker and Wanda Whitaker, both of Lexington, and Mary Ann Sheets and husband, William of Louisville; a brotherin law, Joseph Leroy Reitman and wife Ruth of North Vernon, Ind. ; godchildren, Daren Hudson and wife, Janell of Syracuse, Ind., Deric Hudson of Greensburg, Ind., Devon Hudson and wife, Kara of Germany; Karen Sheets-Mobley and husband, Trey of Louisville, and Nathan Sheets and wife Lexi of Fort Thomas, whom he thought of as his grandchildren. 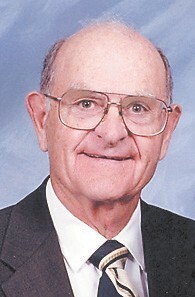 Funeral services for Mr. Whitaker were held April 7 at the Morgan & Nay Funeral Centre, in Madison, Ind. Interment was in the Dupont Cemetery in Dupont, Ind. A final salute was conducted on Sunday, at 2:30 p.m. at the Morgan & Nay Funeral Center by the Major Samuel Woodfill Post No. 9 of the American Legion with full military honors to follow at the Dupont Cemetery. Memorial contributions may be made to SICASouthern Indiana Center of the Arts or the Dupont Cemetery Association. Cards are available at the funeral homes. Online condolences, www.morgan-nay.com.